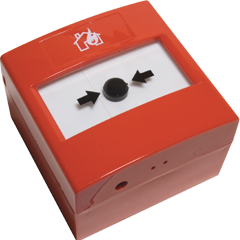 Evolution Manual Call Points are available in a choice of STI ‘ReSet’ IP24 (EV-MCP2-SCI-IP24 Indoor Manual Call Point) or IP67 housing (EV-MCP2-SCI-IP67 Outdoor Manual Call Point). Both devices include Short circuit Isolator (-ve Line), which is a perfect solution to provide Isolation protection for a Zone. They are DIL Switch Addressed and, in the case of the EV-MCP2-SCI-IP24, come with both Backbox & RF Wall Plate as standard. *Note +ve and -ve isolator styles cannot be mixed on a system. Contact Nittan Technical Support for more details and information on panel compatibility.